Cucina Povera: Vieni con me! Come with me out into my little patio garden. It is amazing what you can grow in a small space if you want to. I rent so I don't have the luxury of being able to dig up the lawn to make a vegetable patch, though I do yearn for a big kitchen garden. If I could grow a crop of anything in my backyard, it would be Heirloom tomatoes. Then I would have a big 'Tomato Day' and make passata. But I digress. I improvise by growing a few citrus in large, terracotta pots. 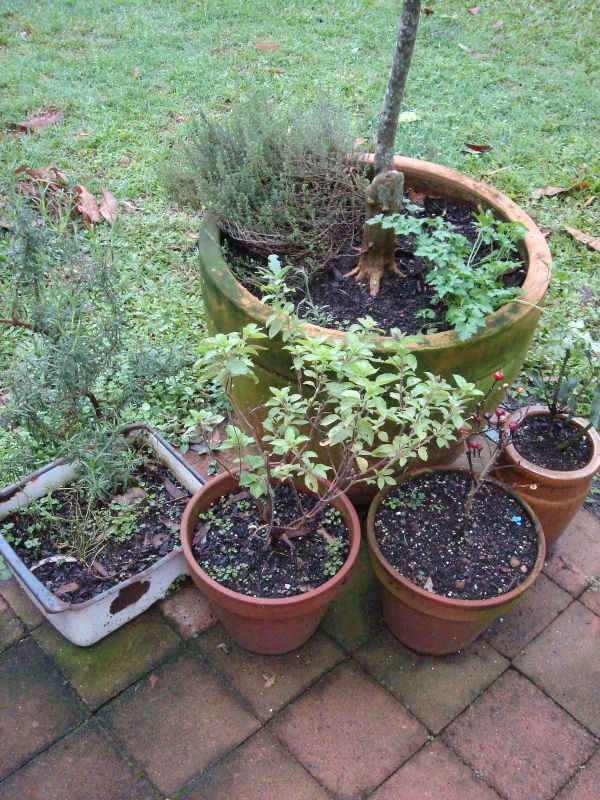 Nestled around the trunks of each tree I have built up my own humble little herb garden. 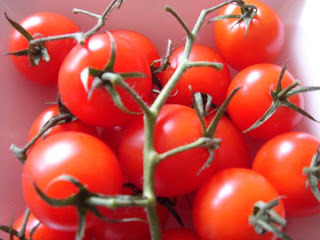 I can only dream about growing tomatoes as luscious as these. I grow rosemary, thyme, flat leaf (Italian) parsley, sage, sweet and perennial basil, bay and mint. These are the herbs I use all the time, I don't waste time growing the ones I don't use. 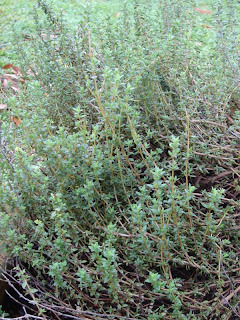 I must confess though, that I really do love the smell of lemon thyme, but I find I never use it. A few pots is all you need to grow herbs with minimal fuss. 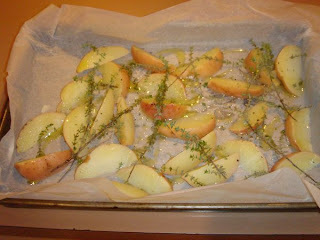 Rosemary has a nice homely aroma which reminds me instantly of roast lamb. Recently I have discovered that rosemary takes dishes like mushroom barley soup and my 'quattro fagiolo minestra' (four bean soup) to another level. 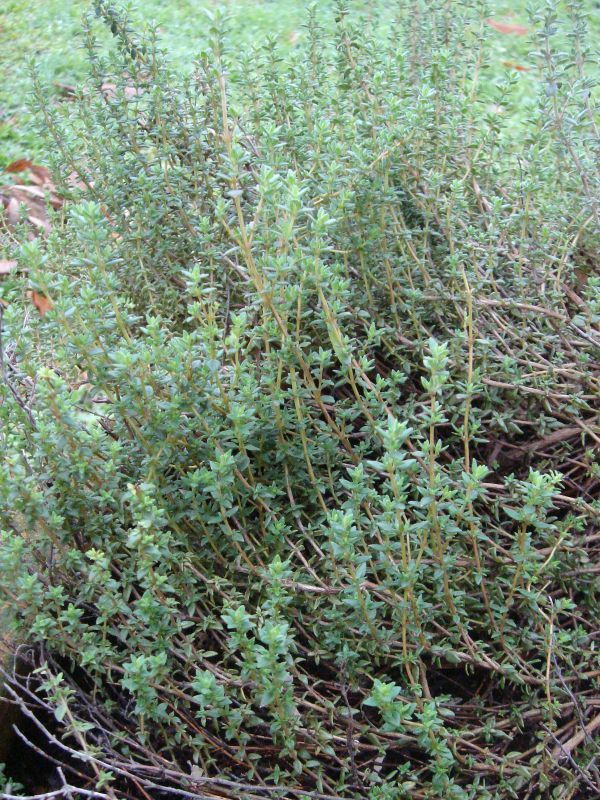 Thyme is my favourite herb of all. My favourite use for it would be scattering sprigs around par boiled wedges of potato tossed in olive oil, garlic cloves and salt. 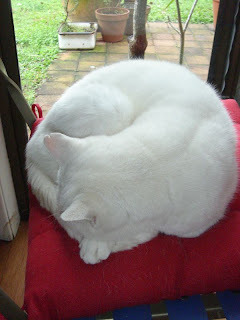 I bake in a hot oven until crisp. I could eat these potatoes as a meal on their own. They just develop a lovely sweetness that makes me want to keep eating them. Parsley would have to be the most indispensable herb in my garden. Basil comes a close second. The two are brilliant together and are fantastic when I feel like pasta but don't feel like making a long, laborious sauce. Instead, I make my own pesto. Once you have made your own pesto, it is hard to ever go back to the stuff in jars. 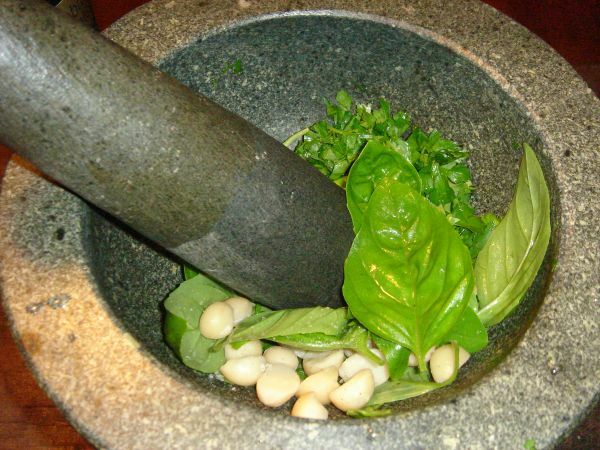 Add garlic, pine nuts and a pinch of salt to a mortar and pestle and pound. Add basil and pound again until the leaves resemble a rough paste. Add a little of the Parmesan. Gradually add the olive oil until and pound gently until the mixture is combined. Check seasoning and add more salt and Parmesan to taste if necessary. In this Pesto I used Macadamia nuts as I had run out of Pine nuts. It is OK to improvise! 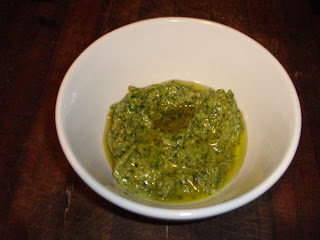 I like to cover my pesto with Olive Oil and use within 3 days, covered and kept in the fridge. 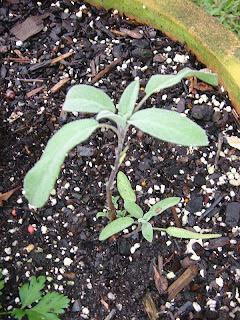 Sage is one of those lovely musky and woody herbs that I adore. I love crisping leaves up in butter and pine nuts to make a brown butter sauce to top fresh pumpkin ravioli. It is also sublime on chicken breasts wrapped with pancetta or prosciutto. My Sage looks a little sad and worse for wear, but it will come back in Spring. Mint is a wonderful addition to Greek yoghurt and finely chopped cucumber to make a cooling relish to slather over tandoori chicken pieces or dolloped liberally over slices of seared lamb fillet for souvlaki. 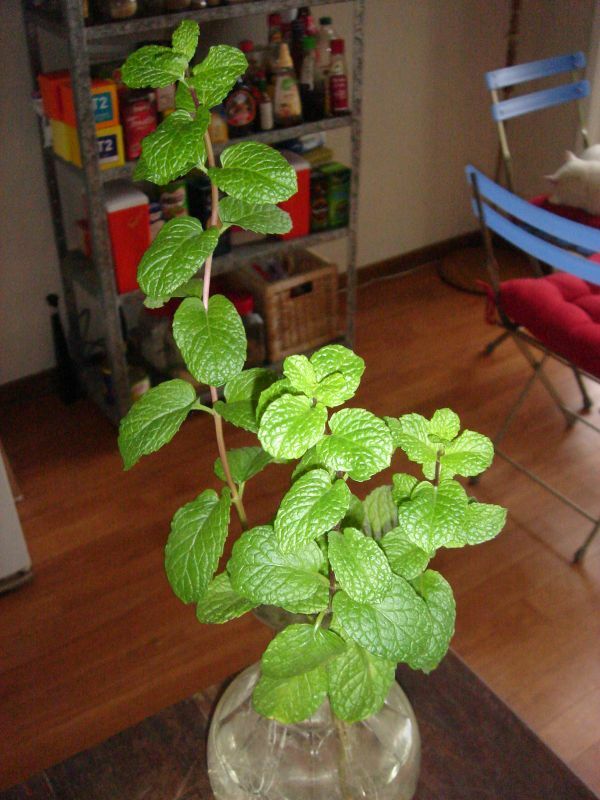 I am growing my latest mint plant from some store-bought mint in a vase of water in my kitchen. 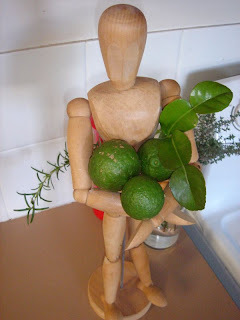 Along with my herbs, I have a Kaffir Lime tree. The leaves are essential for Thai curries and Laksa, which I like to make often. It is also nice that it is a lovely ingredient that I can share with friends and neighbours. The leaves are also really good to rub on your hands after shelling prawns or handling fish to get rid of the smell. The leaves of the Kaffir Lime Tree rather than the fruit are the best to use in recipes. 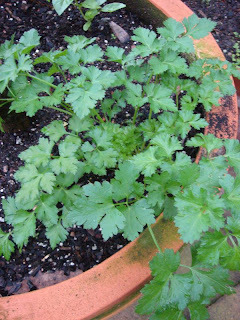 Fresh home grown herbs may not be available to everyone, but if you have space for a few small pots and a sunny position in your garden (or balcony or window) they are easy to grow with not too much fuss. They just need a little love. The results are really satisfying. Who needs a Scarecrow when Miss Gidget is on duty? Wow, Kitty! I had no idea you had a little herb garden! That is SO COOL! I really LOVE to eat, but just don't want to take the time to cook, I prefer my time spent on other things, but I would LOVE to visit one day and watch you cook for me (I'd HELP! ), that would be a Heavenly Meal, I KNOW THAT! Andy, you just gave me a brill idea - I could perhaps do a video entry of me cooking. At least I would be a little more dimensional!